One man's quest to conquer double-space. What could possibly be better than playing a nice, lengthy session of a classic 4X strategy game? Easy - playing two at the same time! Our very own Nick Puleo will attempt this very weekend to conquer two entirely separate universes and, in doing so, create the mythical 16X. Anyone can handle the four standard X's: eXplore, eXpand, eXploit, and eXterminate, but how will Nick cope with these added dimensions, like eXtreme handstands, The EXorcist 2, eXtra cheese, and eXploding finger guns? Only time will tell. Of course, we've got plenty of other items on ol' Weekend Agenda. Eric's planning on getting swarmed by aliens on live television, Sam's introducing his nephews to the world of fisticuffs, and Jason's defending America from an army of totally-not-Chinese invaders. Sounds like a blast, huh? 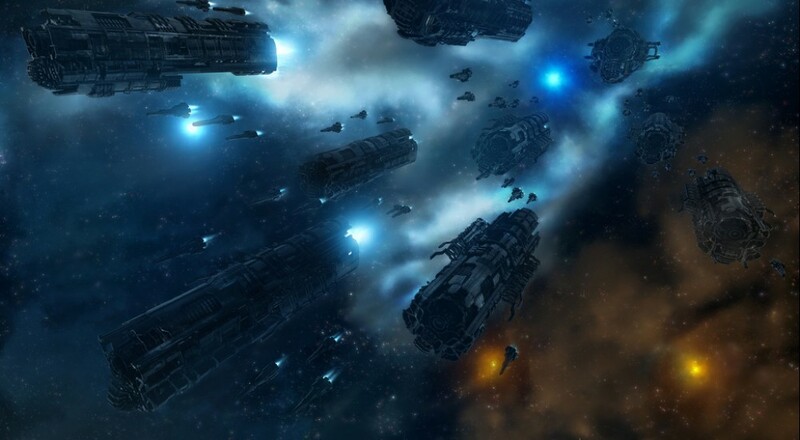 Nick Puleo (@NickPuleo) - "I picked up Stellaris...and Galactic Civilizations 3. I think I'll play them both AT THE SAME TIME." Jason Love (@JLove55) - "Praise that sun, Enoch; praise it good. I'll be doing some of that as well while also checking out more of Homefront: The Revolution and building my galactic empire of scientific arachnids in Stellaris." Marc Allie (@DjinniMan) - "Busy weekend, playing some Friday Night Magic and some DOOM here and there." Eric Murphy (@smurph_em) - "We'll be streaming Alien Swarm tonight at 8PM CDT on our Twitch channel. Stop by and hang out with us! Otherwise, I'm hoping to hit up Halo 5 or The Division." John Bardinelli (@itsamejohn) - "Catching up on some crazy Mario Maker levels I spotted during the week, then topping it all off with some Stellaris." Sam Tyler (@thereelsamtyler) - "I have my nephews coming to visit so I will introduce them to loads of age inappropriate side scrolling beat 'em ups." Tally Callahan - "Some Battleborn for double XP weekend and some Guild Wars 2, continuing my first foray into ranked PVP." Enoch Starnes (@enochstarnes) - "This weekend, I'll likely spend a lot of time relaxing and subsequently ruining that relaxation with bouts of Dark Souls 3." How about you? Will you try to eXpand your mind this weekend, or would you rather focus on a solitary task, like slaying demons on Mars? Let us know in the comments! Page created in 0.5244 seconds.